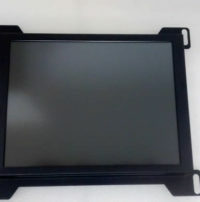 LCD Upgrade Kit for 12″ Okuma OSP 7000 CRT, CD12JAS, Totoku 3616W brake press includes plug and play cables and warranty. 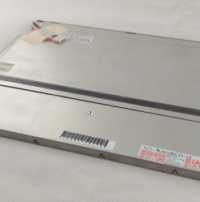 Light LCD Upgrade Kit for 14-inch Okuma OSP U100 CRT, LU15-U100L, E100L. Full cable kit + counter bezel for complete conversion. Light LCD series Upgrade Kit for 14-inch Okuma 14JB CRT, CD14JBS, Tatung CD14JBS. Full cable kit for complete conversion. Monitech works with many different suppliers to ensure that you receive a quality monitor, quickly, and for a fantastic price! The Okuma 14JBS is no exception. Our upgrade kit includes power and video cables plus Warranty. 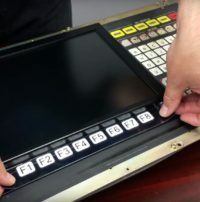 At Monitech we have the perfect solution to replace the 9.4 inch F51430NFU-FW-AA – Okuma OSP-700L – Okuma 7000 LCD Display. When ordering this product, Just specify if it is for the Cadet series or the Crown series. Or if you are confident, why not purchase this unit right from this page. Click ADD TO CART, it is fast and secure. Also, be sure to check out our other Okuma product here. 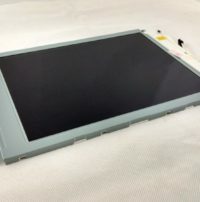 Here at Monitech, we have developed a solution for the AB 1000C – 2711C-T10C & Okuma OSP-E11LOkuma OSP-E11L / OKUMA OSP-U20G LCD panel replacement. We have a short supply of this item so buy now to avoid stock out and down times. Simply click ADD TO CART to purchase this unit from this page. And check out our extensive Okuma Product list. Monitech Light LCD series for Okuma OSP 7000 Includes 12 volt power adapter, and power cables, video cables and warranty. 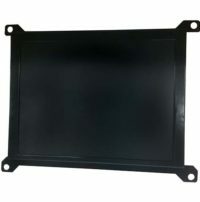 LCD Upgrade Kit for 14-inch Okuma OSP U100 CRT, LU15-U100L, E100L. Full cable kit + counter bezel for complete conversion. Monitech works with many different suppliers to ensure that you receive a quality monitor, quickly, and for a fantastic price! The Okuma U100 is no exception. To purchase the Okuma U100, please click ADD TO CART. Monitech works with many different suppliers to ensure that you receive a quality monitor, quickly, and for a fantastic price! The Okuma OSP 5020L is no exception. 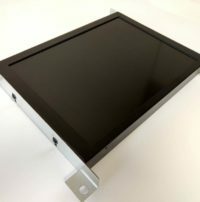 With customers from all over the world looking to upgrade their Okuma OSP 5020L monitors, we have perfected the design of our LCD monitor to suit your needs, whatever they may be! To purchase the Okuma OSP 5020L, please click Add To Cart, it is fast and secure! Monitech works with many different suppliers to ensure that you receive a quality monitor, quickly, and for a fantastic price! The Okuma OSP 5000 is no exception. With customers from all over the world looking to upgrade their Okuma OSP 5000 monitors, we have perfected the design of our LCD monitor to suit your needs, whatever they may be! 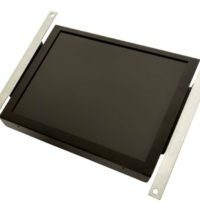 LCD Upgrade Kit for 9-inch Okuma OSP 3000 CRT. Full cable kit for complete conversion. Monitech works with many different suppliers to ensure that you receive a quality monitor, quickly, and for a fantastic price! The Okuma OSP 3000 is no exception. With customers from all over the world looking to upgrade their Okuma OSP 3000 monitors, we have perfected the design of our LCD monitor to suit your needs, whatever they may be! To purchase a Okuma OSP 3000, please click ADD TO CART. Monitech works with many different suppliers to ensure that you receive a quality monitor, quickly, and for a fantastic price! The Okuma OSP 700M is no exception. With customers from all over the world looking to upgrade their Okuma OSP 700M monitors, we have perfected the design of our LCD monitor to suit your needs, whatever they may be! To request a quote for a Okuma OSP 700M, please contact us. Monitech works with many different suppliers to ensure that you receive a quality monitor, quickly, and for a fantastic price! The Okuma OSP 500M is no exception. With customers from all over the world looking to upgrade their Okuma OSP 500M monitors, we have perfected the design of our LCD monitor to suit your needs, whatever they may be! To request a quote for an Okuma OSP 500M, please contact us. Monitech works with many different suppliers to ensure that you receive a quality monitor, quickly, and for a fantastic price! The Okuma OSP 500L is no exception. 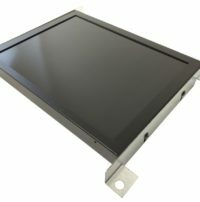 With customers from all over the world looking to upgrade their Okuma OSP 500L monitors, we have perfected the design of our LCD monitor to suit your needs, whatever they may be! To request a quote for a Okuma OSP 500L, please contact us. Monitech works with many different suppliers to ensure that you receive a quality monitor, quickly, and for a fantastic price! The Okuma OSP 500GLS is no exception. 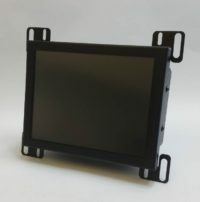 With customers from all over the world looking to upgrade their Okuma OSP 500GLS monitors, we have perfected the design of our LCD monitor to suit your needs, whatever they may be! To request a quote for a Okuma OSP 500GLS, please contact us. 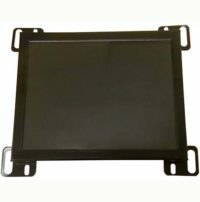 LCD Upgrade Kit for 14-inch Okuma 14JB CRT, CD14JBS, Tatung CD14JBS. Full cable kit for complete conversion. Monitech works with many different suppliers to ensure that you receive a quality monitor, quickly, and for a fantastic price! The Okuma 14JBS is no exception. With customers from all over the world looking to upgrade their Okuma 14JBS3 monitors, we have perfected the design of our LCD monitor to suit your needs, whatever they may be! To request a quote for a Okuma 14JBS, please contact us.